Kesineni Srinivas, fondly known as Nani, is an Indian politician and entrepreneur. He is currently serving as Member of Parliament in 16th Lok Sabha from the Vijayawada Parliamentary Constituency, representing a 1.5 million strong electorate. Nani is hailed by many as one of the most prominent and pro-development political leaders across the nation. His endeavour to establish Vijayawada as a top-tier living destination has been applauded by many. Prior to his foray into public service, Nani built the Kesineni Group - known today as a dynamic, well established enterprise in the fields of intercity transportation, logistics and hospitality. Kesineni Nani’s accomplishments in diverse fields of business, politics and activism have made him an iconic personality, popular for his progressive ideology and dedication to philanthropy. Nani earned the title of “A People’s Leader”, much prior to his political entry, using his several enterprises for the good of the many. From donating huge acres of own land for the construction of access roads for the New Autonagar to aiding millions of flood victims over the years, Nani has always gone above and beyond to serve the community. Nani accredits his philanthropic spirit to his late grandfather, Shri Kesineni Venkaiah, whose donation to the development of Autonagar in 1966 was equivalent in monetary value to 50 acres of land in the heart of Vijayawada city (out of the required 350 acres). The contribution value today would approximate several hundred crores of rupees. Over 1.25 lakh jobs were created for people around Vijayawada during the development phase and Autonagar has since become a mecca for auto-vehicle and transportation industries in South India. Kesineni Nani kick-started his political career by joining the newly-formed Praja Rajyam Party. However, due to ideological differences with the leadership, Nani and thousands of his followers left the party after 3 months, on 26th January 2009. Kesineni Nani joins the Telugu Desam Party (TDP) to work on implementing Shri Chandrababu Naidu’s vision for the development of Andhra Pradesh. The 2009 Krishna River flood, termed as the ‘largest flood in Krishna over 100 years’, wreaked havoc in the region and inundated over 400 villages. Under the guidance of Shri Chandrababu Naidu, Kesineni Nani mobilised relief packs filled with necessary staples and medical aid to lakhs of flood victims across the Krishna district. Kesineni Nani, as TDP In-Charge of the Vijayawada Parliamentary Constituency, generated huge momentum through his relentless on-ground outreach efforts in his short tenure. Nani was announced as a candidate for the 16th Lok Sabha Election on 12th January, 2013. Responding to the plight of Char Dham pilgrims caught in the 2013 floods of Uttarakhand, Shri. Chandrababu Naidu arranged special aircrafts to bring the stranded pilgrims to Hyderabad. Nani followed his lead and mobilised Kesineni buses to transport all the pilgrims free of cost to their homes all across Andhra Pradesh, Tamil Nadu and Karnataka. The results of the 16th Lok Sabha elections showed resounding support for Kesineni Nani in Vijayawada. The people chose Nani to lead them into a new era of development and progress. He was elected as the Member of Parliament for Vijayawada in 2014, and since then, there has been no looking back for him as well as the constituency. Kesineni Nani helped over 70,000 devotees from the Vijayawada Parliamentary Constituency in attending the Godavari Maha Pushkaram, providing free transportation, lodging and food for all during over a period of 11 days. Kesineni Nani moved a ‘No-Confidence Motion’ in the Lok Sabha against the NDA Government. 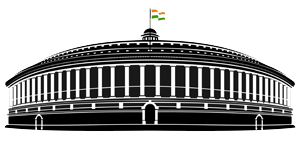 Upon being called to speak ahead of the Trust Vote, Nani credited the Prime Minister of India, Shri Narendra Modi to be ‘the greatest actor of our time’, for not fulfilling the promises made in the Andhra Pradesh Reorganisation Act, 2014. In 2014, Tata Trusts sent a blueprint to many Members of Parliament, including Kesineni Nani, to help in developing 1 Model Village in each constituency, under Saansad Aadarsh Gram Yojana. However, Nani believed that development could not be confined to one village and that in order to ensure the sustainable upliftment of his constituents, a cluster-based approach was required. With this foresight, Nani requested Mr. Ratan Tata to adopt all the villages of the Vijayawada Parliamentary Constituency. 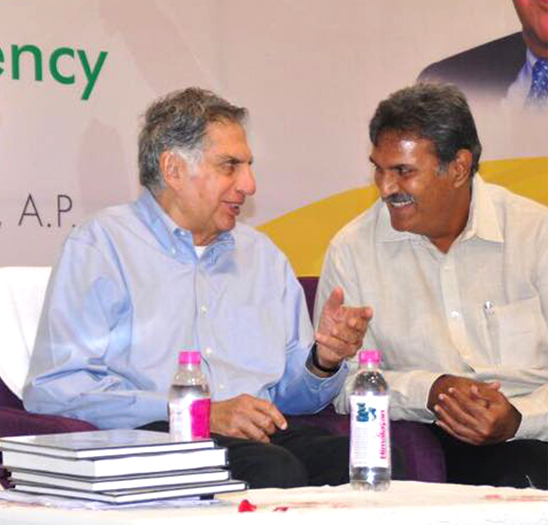 Their shared passion for philanthropy brought the two visionaries together and a formal MoU was signed between Tata Trusts and the Government of Andhra Pradesh. The Tata Trusts has since adopted all 265 Gram Panchayats of Vijayawada and has been implementing several initiatives for the development of health, education, sanitation, water security and much more.